How do I do the second? And what do I need to do about Grub? Use the correct names for the hd and ssd mount points of course. Then you just need to edit the /etc/fstab on the ssd to point to the new fs UUID ( you can look it up with blkid ). Finally you need to install grub on the ssd. Of course, use the correct device for /dev/ssd. The whole disk, not a partition number. Finally reboot and make sure your bios is set to boot from the SSD. I was able to do this migration successfully thanks to @psusi's instructions, however I observed one "gotcha." This encourages grub to re-scan the BIOS, identify the new drive, and presumably use its UUID when passing the "root=" parameter to the kernel. Here is as good (for 2018) as easy how-to from 2013: http://www.sesser.eu/howtos/hdd2ssd.php by Markus Sesser. It describes migration without booting from live CD. It also respects system dirs and uses rsync, noatime, nodiratime. Just do not forget to omit discard option - it is implemented via cron since Ubuntu 14.04. Where X and Y are corresponding partition numbers. However this method will copy 80GB of data and all sectors on your SSD will be marked as "occupied" initially. Not the answer you're looking for? Browse other questions tagged filesystem partitioning hard-drive ssd or ask your own question. Upgrading from 10.10 to 11.04, how much space is needed? 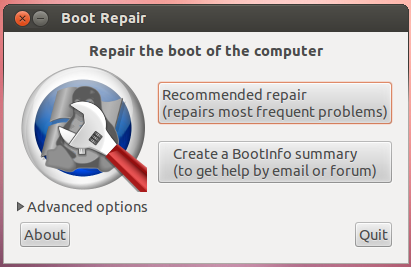 How do I split my unified root & home folder after installing Ubuntu? How to Prepare this SSD for Ubuntu 13.04 in Zenbook? How to install ubuntu on a system with a ssd and a hdd?